In case you missed it... this week the Voices for Human Needs blog covered resources from our members and our latest Human Needs Report, all focused on President Trump's FY19 budget blueprint. Subscribe to the blog and share with your networks!  From Inside Sources: The Bank of North Dakota: A solution to Municipal Financing After Divestment? Hundreds of union members, including teachers, nurses and construction workers, rallied inside the State Capitol in St. Paul on Saturday to draw attention to a Supreme Court case that could deliver a major blow to organized labor. The Working People’s Day of Action rally was organized in response to the Janus vs. AFSCME Council 31 case, scheduled to be heard by the high court on Monday. It has now been more than a week since the tragic events unfolded at Marjory Stoneman Douglas High School in Parkland, Fla. There, 14 students and three staff members were killed and many others were injured, some seriously. At North Dakota United, the news of this Valentine’s Day massacre hit all of us very hard. Children, after all, are at the heart of everything we do. From teaching children to providing the public services that strengthen their families, NDU is undeniably child-centered. So like millions of families across the nation our NDU family stopped what they were doing and tried to make sense of what we were seeing on the news. How after Columbine, after Sandy Hook could this be happening again? Congressman Kevin Cramer, R-N.D., now a wannabe U.S. senator, has never won a tough election. He's been in only two that were real tests, both against Rep. Earl Pomeroy, D-N.D., (1996 and 1998), and Cramer handily lost both. One of those losses was distinguished by Cramer's odious concession speech in which he spat into the camera, "I will be watching you, Earl Pomeroy." He shredded decency and good manners, opting instead for an angry poor-loser performance that exposed a streak of smarmy nastiness. Letter: Why should we give Cramer a promotion? Rep. Kevin Cramer announced he's running for Senate, which left us thinking — why should we give him a promotion? Cramer's record in Congress has been dismal. So why is he trying to jump jobs when he can't even do the one he has? Just last month, he said it was best for North Dakota if he stayed in the House. He said he couldn't be an effective congressman if he had to run a Senate campaign. The North Dakota AFL-CIO will host a town hall-style meeting with the theme of "Unions, Politics and Power" for union members and their families at the Bismarck Labor Temple on Feb 27th at 6:00 pm. Come learn and discuss how we can use our freedom to join together to build better lives for North Dakota union families and to build a better North Dakota for all workers. Pizza, Pop, Coffee and Cookies will be served. NOTE: This discussion will be geared specifically towards North Dakota union members, retired union members and union family members. Similar Labor Town Halls for the general public are forthcoming. Locations for Grand Forks, Minot TBA. On any given day 54,000 North Dakotans rely on SNAP (Supplemental Nutrition Assistance Program) to put food on their table. SNAP is set to be reauthorized in the 2018 Farm Bill. Based on past Farm Bills and what we are hearing from Congress, we expect the program will be at risk of significant cuts and damaging policy changes. Mobile Messaging for North Dakota Workers! We are happy to introduce a new tool in the fight for workers' rights in North Dakota! Text NDLABOR to 235246 to join our new mobile messaging service and stay up-to-date on upcoming actions and events for working people! This week at CBPP, we focused on the federal budget, state budgets and taxes, Social Security, food assistance, federal taxes, housing, health, poverty and inequality, and family income support. On the federal budget, we released a number of pieces on President Trump’s 2019 budget. Robert Greenstein released a statement on the stark vision of America the budget offers. On the Supplemental Nutrition Assistance Program (SNAP), Dorothy Rosenbaum, Stacy Dean, Ed Bolen, Elizabeth Wolkomir, Brynne Keith-Jennings, Lexin Cai, and Catlin Nchako found that President Trump’s budget would cut food assistance for millions and radically restructure the program, and Dean summarized these findings. On health, Peggy Bailey, Matt Broaddus, Shelby Gonzales, Hannah Katch, and Paul Van de Water found that the health proposals included in the President’s budget would reduce health insurance coverage and access to care for millions. On housing, Douglas Rice pointed out that President Trump’s budget slashes aid for families already struggling to pay rent. Sharon Parrott, Aviva Aron-Dine, Rosenbaum, Rice, Ife Floyd, and Kathleen Romig explained how the President’s budget would make cuts to health, housing, and other assistance for low- and moderate-income families deeper than any ever enacted. LaDonna Pavetti warned that the welfare-to-work proposal in the Trump budget would unravel major federal programs. David Reich laid out how President Trump’s budget would cut non-defense programs deeply in 2019 and beyond. Michael Leachman argued that states can’t afford massive new costs that President Trump’s budget would shift to states and localities. We rounded up our continuing coverage of the president’s budget. Jacob Leibenluft pointed out that President Trump’s new infrastructure plan is a mirage and that his budget will actually cut federal support for infrastructure investment. Arloc Sherman explained why policymakers should boost 2018 funding for the 2020 census. On state budgets and taxes, Liz McNichol warned that President Trump’s plan to cut federal infrastructure funding would put badly needed improvements at risk. Leachman submitted testimony to the Kansas legislature’s Senate Committee on Federal and State Affairs on why the state should reject a call for a constitutional convention. On Social Security, Kathleen Romig highlighted how the bipartisan agreement to raise the caps on discretionary spending in 2018 and 2019 gives policymakers another chance to fund technology improvements for the program and reduce Social Security’s disability backlog. On food assistance, we updated our backgrounder on SNAP. On federal taxes, Chuck Marr called on congressional appropriators to make adequate funding for the Internal Revenue Service a top priority. On health, Jessica Schubel warned that Kentucky’s Medicaid waiver will increase uncompensated care for hospitals and safety net providers. On poverty and inequality, Chad Stone, Danilo Trisi, Arloc Sherman, and Roderick Taylor updated our guide to statistics on historical trends in income inequality. On family income support, Tazra Mitchell and Pavetti updated their rebuttal of a fundamentally flawed study praising Kansas’ harsh TANF work penalties. 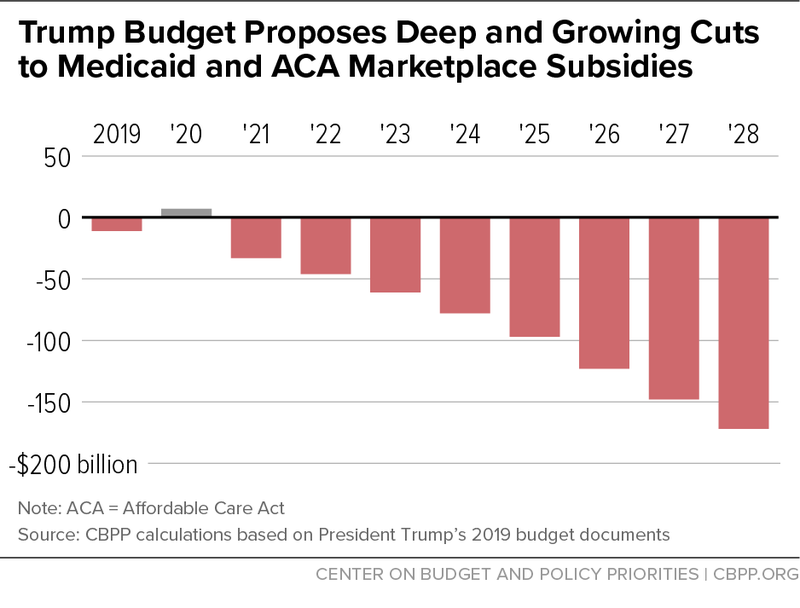 Chart of the Week – Trump Budget Proposes Deep and Growing Cuts to Medicaid and ACA Marketplace Subsidies. Don’t miss any of our posts, papers, or charts — follow us on  Twitter,  Facebook, and Instagram. Last month at this time, I wrote an article titled, “What Changed?” In it, I laid out how I didn’t think anything had changed when Kevin Cramer decided to seek reelection rather than challenge Heidi Heitkamp for the U.S. Senate. I said Cramer was never going to run against Heidi, that it would be too much of a gamble. It wouldn’t make sense for him to challenge a popular incumbent when reelection odds seemed sound, I wrote. My take hasn’t changed, but something else has. Cramer has flipped. Today, he’ll announce his campaign against Heitkamp. What changed? WASHINGTON – AFL-CIO President Richard Trumka is challenging organized labor to go on the offense, despite control of Washington and states by anti-union politicians. The fed leader issued his demand at the United Auto Workers political conference in D.C., in early February. He headlined a parade of speakers, including Sen. Debbie Stabenow, D-Mich., and Rep. Pramila Jayapal, D-Wash. The recent stock market rumpus has been set off in part by fears that a tight labor market and quickening wage growth are a foretaste of higher inflation and interest rates. But sustained raises for American workers may be possible only if employers can break a habit: handing out one-time bonuses in place of salary increases. A growing preference among employers for one-time awards instead of raises that keep building over time has been quietly transforming the employment landscape for two decades. But it was accelerated by the recession’s intensity, which made employers especially cautious about increasing labor costs. On a Saturday morning in 2013 in Brooklyn’s Dumbo neighborhood, an 18-year-old recycling worker, Luis Camarillo, was loading materials into a truck when the vehicle’s compactor crushed him. He was rushed to a hospital, where he died. Mr. Camarillo’s death, while seemingly a freak accident, was in fact not unusual. The hazards facing people in this line of work have a long history — they inspired the Memphis sanitation workers’ strike of 1968. That walkout was set off in part by the deaths of two Memphis sanitation workers, Echol Cole and Robert Walker, who were crushed to death by the hydraulic press of the truck they were riding on one rainy winter evening. From Coalition on Human Needs: We Need to Fight Back! The Trump administration has recently put forward their ideas for the budget in 2019, which outlines their priorities - priorities that will harm domestic human needs programs, priorities that will harm millions of Americans. Congress is in recess which means it's a prime opportunity for them to hear from you! Take the fight to social media! Center for American Progress has helpfully put together a social media toolkit to help advance our message of #HANDSOFF. You can also check out CBPP’s toolkit for responding to the President’s budget, which includes talking points, graphics, sample social media posts, and suggestions for how to continue your activities throughout the congressional recess this week. You can also find local events through CAP's resistance near me website (town hall meetings during the recess, rallies, etc.). FARGO — Sen. Heidi Heitkamp, D-N.D, has introduced a bill aimed at improving rail safety by requiring two-person crews on freight trains. The oil train that derailed near Casselton, N.D., in 2013 had a two-person crew, Heitkamp said, allowing them to act quickly to prevent the fire from escalating further, but trains still can operate with one-person crews. BISMARCK—A backer of a proposed anti-corruption ballot measure said Wednesday, Jan. 31, there are "a lot of little opportunities" for unethical behavior in North Dakota that could be deterred with their pitch to amend the state constitution. Measure supporters submitted a proposed petition to the Secretary of State's Office for review Wednesday. They hope to put it on the November ballot, meaning they'll need 26,904 signatures by the end of the day July 9. Federal employee unions are on edge after President Trump called on Congress Tuesday night to give agencies the power to fire federal workers at will. In his first State of the Union address, Trump praised the VA Accountability Act — a law he signed last year to make it easier for the Department of Veterans Affairs to fire employees accused of misconduct — and called for similar powers to be extended to all agencies. I am writing to express my appreciation for the Fargo VA Hospital and for the care my father, a lifetime North Dakota resident and veteran, has been receiving. My father is 87 years old and has several health issues. Most recently, he suffered from kidney failure after he had surgery to address a broken foot. The VA Hospital helped him to become stable and then he transferred to a local nursing home facility for physical therapy. The North Dakota AFL-CIO will host a town hall-style meeting with the theme of "Unions, Politics and Power" for union members and their families at the Fargo-Moorhead Labor Temple on Feb 6th at 5:30 pm. NOTE: This discussion will be geared specifically towards North Dakota union members, retired union members and union family members. Similar Labor Town Halls for the general public are forthcoming. Locations for Bismarck, Grand Forks, Minot TBA. Are you planning to run for elected office? Are you ready to do what it takes to win? Join North Dakota United, North Dakota Farmers Union, the North Dakota AFL-CIO, and supporters of public education, family farmers, and working people as we learn together how to run winning campaigns. This intensive, two-day training will include sessions on field, communications, fundraising, social media, and much more. We are now accepting applications to attend the 2018 Education Farmer Labor Candidate Training Academy. Space is limited to ensure we can provide the highest quality training. North Dakota KIDS COUNT has once again teamed up with North Dakota Compass to create demographic and socio-economic profiles for North Dakota State Legislative Districts. The profiles highlight 16 measures focusing on population, household, social, and economic characteristics for each of the 47 districts in North Dakota. Each profile compares district information with North Dakota and the United States. The 2018 profiles reflect the most current data available and are found on our website for viewing and downloading. We hope these data are useful in your discussions and decision making processes.